Nedaa Salama’s PowerPoint slides are captivating but I don’t want to look at them. As she addresses the full room of researchers, policymakers, project leaders and media representatives in her native Arabic, I only have eyes for her. I’m at the European Commission in Brussels, attending a session called “Building Bridges at the EU’s External Borders” that has been organised as part of the European Week of Regions and Cities. 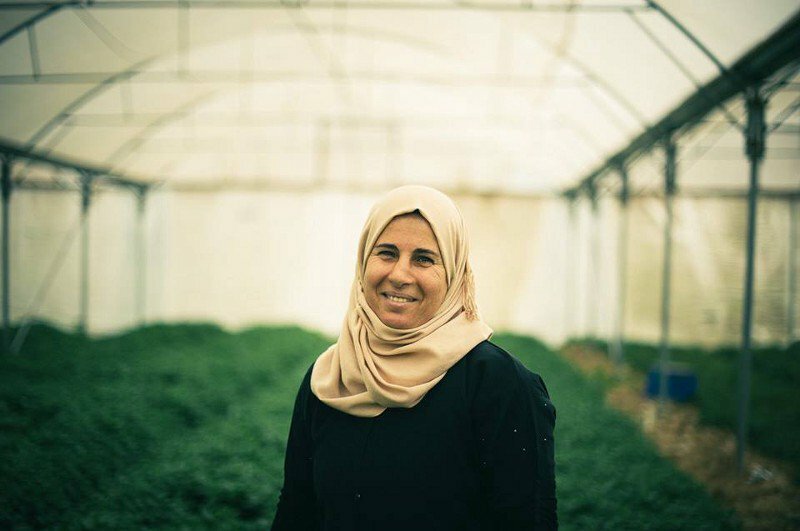 From the voice of the interpreter through my headphones, I know that Nedaa is speaking about how she and a group of other women in her Palestinian village have become empowered thanks to an EU-funded project called RUWOMED. Though I don’t need the English-language interpretation to understand this; it’s abundantly clear from the confident, unwavering voice she’s using to tell her story. Here is a woman who knows her own strength and the power her words are having on us. Nedaa tells us about her life as a housewife in Kafr Malik, a village located in the northeast of Ramallah in the West Bank. She’s a mother of 5 children and before joining RUWOMED, her life was mainly preoccupied with household chores. Now, thanks to the RUWOMED project, she and several other women in her community have become entrepreneurs and valued members of their village. They have learned the agricultural, business management, accountability and marketing skills to become apiarists (beekeepers) who produce their own fairtrade honey. Read the full post by Clarissa Hirst via Medium.